We’ve all been there: finding ourselves lost past midnight reading a new book, tearing up, watching an Oscar-winning movie & indulging in the ecstasy of a new melodic hook. The arts are important to all of us. Exploring how we can fund & create new markets in the arts will not just allow humanity to experience more of the meaningful moments attached to it, but also be an imperative for where we are headed as a society. 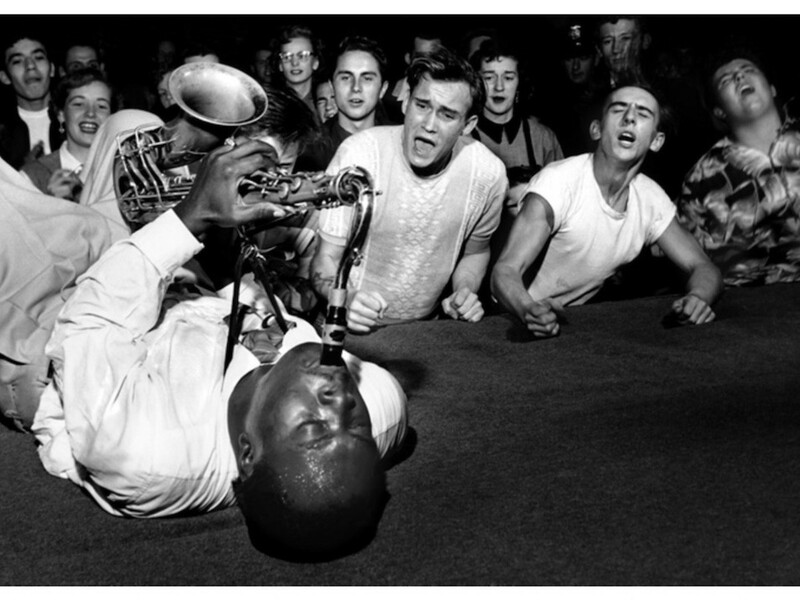 Big Jay McNeely providing ecstasy. RIP. Thanks to the decrease of the barriers to create, we’ve all inadvertently become contributors to our collective cultural commons: we tweet together, we edit wikipedia together, we share photos on Instagram together, we write on Medium together. When we look at the future, a post-automation world, we see that the creative knowledge economy eventually just becomes: the creative economy. Solving the problems of the creators is solving the problems of society. Exploring new markets of the arts isn’t just about supporting artists, but also finding new ways to connect. In recent years, we found meaning in new forms of art funding: from subscription patronage to crowdfunding works together. My local Cape Town swing dancing community recently crowdfunded funds to find and transcribe old South African jazz records that were lost due to apartheid oppression. In the last few days it wasn’t sure whether the project would receive its funding: the whole community did their best to share and find those who wanted to support us in this endeavour. It brought us together in new ways. I can’t wait to dance to this music that we lost! The ability to have crowdfunded this work has created new connections. New markets brings in new ways to connect. New forms of property rights [Common Ownership Self-assessed Tax] that reduces the negative effects of monopolistic control on property. New voting systems that reduces the tyranny of the majority and allows minorities a greater voice. New migration proposals that allows any citizen to sponsor a migrant. New ways at looking at anti-trust in the economy and reducing its negative effects. New ways to think about our data that the tech giants collect, and finding ways to price this “labor” we are giving freely to machine learning AIs. It’s a highly recommended read. Besides backing up the ideas with proper rigour, I found the vision the most enticing: looking at ways to change & add markets that reduce negative externalities and optimally produces collective good outcomes. The best decision for the individual is also the best decision for the whole. Some of these ideas are particularly relevant in exploring how we can take them and approach the arts, and the funding of it. I quote from a previous article I’ve written on Harberger Tax. Harberger Tax OR COST is an economic policy that aims to strike a balance between pure private ownership & total commons ownership in order to increase general welfare of society. It helps ensure that property is more productively utilised by the society, resulting in an increase of overall economic productivity and general welfare of society. It keeps the power of the market, whilst reducing the inefficiencies in how property is currently allocated. At a relative cost to efficiency in investment returns, it reduces the prevalence of monopolies that exclude society from an asset’s wealth generating capabilities. In short, when owning the assets, you have to self-assess its value, whereupon you pay a tax on it. 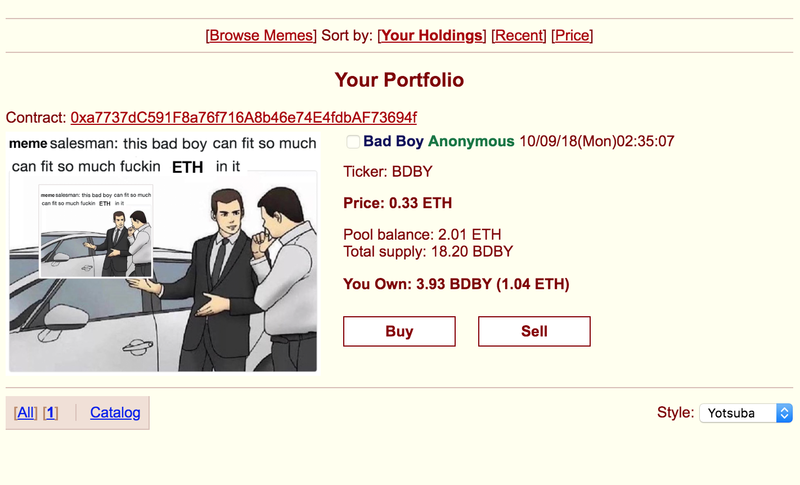 At any point in time, anyone can buy the asset from you at the price you chose. Thus, the incentive is to price it at the value you are willing to pay to keep it. It reduces the cost of negotiation and the ability for private owners to create hold-out prices for their assets. It gets particularly interesting when one combines these ideas with intellectual property ownership. It could re-imagine not just how intellectual property is allocated, but also re-imagine how we fund & create the arts. The idea that ideas shouldn’t be exploited in private forever, is not new. Copyright in most countries expires 50–100 years after the originator’s death. Patents expire. Just as we have private property and commons owned property, as a society we understand that at some point, ideas should become exploitable by all. Currently the way it works is that there’s some limit or time upon which the creators are allowed to exploit, after which they lose the rights to do so eventually. An interesting question is whether we regard this to be the most efficient on the longer term? An alternative is to ask and ponder whether intellectual property shouldn’t be allowed to exploited privately forever, given that the holders of the intellectual property keep paying a self-assessed tax to do so? Instead of Disney lobbying each year to extend the copyright to use Mickey Mouse, why not let that excess be spent towards new arts? Purely digital intellectual property however is more amenable to be exploited in this way. We’ve already seen movements like Open Source software & the Creative Commons become commonplace: the idea that intellectual property should be accessible by many, in the commons. For example, I release almost all my writing & music under a permissive Creative Commons license that allows freedom to re-share, remix and re-use my works, given that it’s not exploited for commercial use. Many others do the same. More than a billion works in fact. With purely digital intellectual property, it’s easier to imagine a world where it can be allocated under the COST/Harberger model. For example, I pay a tax for the music I create, which allows me to privately exploit it: selling it on iTunes, on Ujo Music or other platforms. Anyone, at any point in time, can buy it from me, giving them the proceeds of the intellectual property and ability to exploit it further. What’s perhaps most interesting is to play around with the tax regime in new and interesting ways. Intellectual property creators can specify in their license where the tax could go to. This could result in very interesting ways for the commons to fund itself. Luke Duncan proposed an interesting model for software licensing, upon which forks of code that are kept proprietary must pay a tax that funds fully open source works. In other words, if you take intellectual property that is in the commons, fork it, and take it out of the commons, you must a pay tax on it. If it goes back to the commons, the tax disappears. So, in the event that a company wants to fork and modify open source code for their own personal gain, they must evaluate what the cost would be to keep it proprietary for the revenue gains they would receive from it. If it is more profitable for them to keep it proprietary, they would keep paying the tax. This tax would be used by the commons to fund development of open source software, or even be used to buy out proprietary software and make it open source. Similarly, the general creative commons would work the same for other forms of intellectual property. Remixes & re-use of music that is exploited privately would have to pay tax to fund musicians: whether it’s the previous creators OR a more common pool. Perhaps an interesting outstanding question is whether this would affect how people perceive sampling & remixing? Due to the nature of certain types of intellectual property, it’s likely that over time this intellectual property would be turned over to the commons regardless. For example, many songs have a shelf-life. At some point, someone can be a benefactor that buys it out from its private status into a commons-owned, royalty-free piece of music. This mimics the current copyright regime, but allows for more efficient exploitation of it, rather than some arbitrary guess for an expiration date. 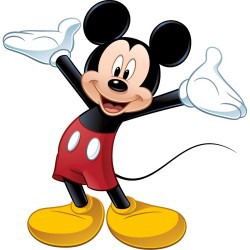 Mickey Mouse, for example, could remain privately exploited for much longer, whilst it keeps funding more creative works during its tenure. Thus, the arts, more directly, would fund more of the arts. Fans love to collect memorabilia. We’ve all bought the band shirt or collectible. It allows us to connect with the creators & creation in new ways. 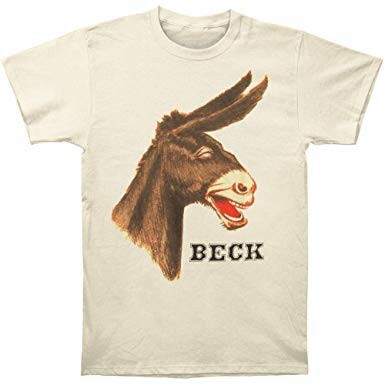 After having listened to Beck for the past 12 years, I finally saw him live this year, managing to snag a Beck shirt. I wear it proudly when I can! What if the collectibles & memorabilia themselves existed under a COST/Harberger model? It would combine collectability with patronage into one. In order to keep the collectible, the fan must keep paying a tax that goes towards the creator. At any point in time, a greater fan can buy the collectible away from them. It’s hard to do this in practice & the real world, because the cost to enforce this might be higher than the value derived from it. Recently in the blockchain space, collectibles have become popular with the establishment of new standards and products. Most popular recently were the explosion of CryptoKittes: tradable, breed-able cats on the blockchain. 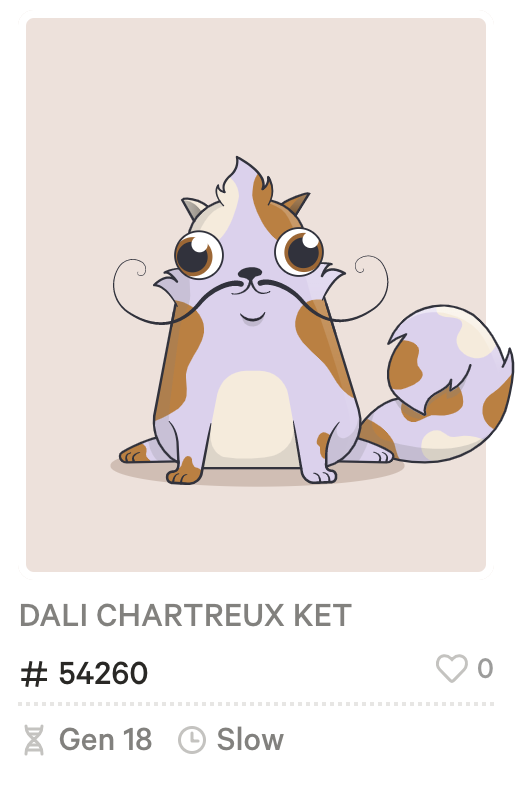 I named all my CryptoKitties variations of KET. I was trying to breed derpy cats. Due to the property system of these collectible cats, they are inert on the blockchain. My cats I bred in January (various cats called derivatives of KET), are sitting idly in the Ethereum blockchain. They are ready to breed, but just wasting away their digital lives. In a COST/Harberger model, all these collectibles would be always up for trade. At any point, if a more active digital cat collector wants to take one of my cats for their traits they are always free to do so. In doing so, the cats are able to live one of their nine lives in a happy new world. What about those new collectible bobbleheads in Major League Baseball? As a new Dodgers fan, I’d love to find one! 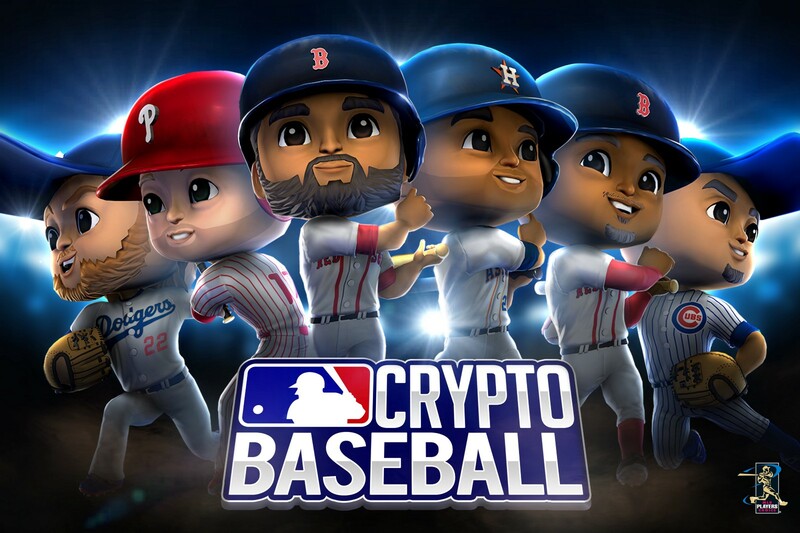 Besides being a better model to allocate & trade digital collectibles, it also presents a new opportunity: a new way to fund the development of these games. With the tax, it can both fund the creators of the software & the creators of the intellectual property used for it to be made valuable (eg the cute cat pics themselves). As long as the collectibles are creating value for its owners, people will be willing to pay the cost to keep them. Additionally: new collectibles can conform to this model that more familiarly fit what we know as memorabilia. For example, Ujo is experimenting with badges: the digital version of the badge you buy to put on your backpack or shirt. Supporting Musicians: Introducing Digital, Collectible, Patronage Badges. In the east, digital gifts are massive already. Other forms of similar digital collectibles can be done in the same way. For example, what if a digital ticket stub becomes a COST/Harberger collectible after the event or gig? What if Kanye West decides to sell digital, collectible Yeezys? What if famous dance moves can become collectible? Notoriously, Fortnite makes a fortune selling dance moves, but the actual artists don’t get a cent from them inventing it. If these collections are traded on a blockchain, one has persistent, long-term provenance of who had it when. So even when an owner doesn’t have the collectible anymore, they have a provable receipt that at some point they were a patron/supporter! Additionally, if the real-life is hard work with this model, what if digital versions of real-life artwork could support the artist instead? This is something I want to experiment with eventually at ArtPublika, where I put a local artist on a prominent billboard in Cape Town. 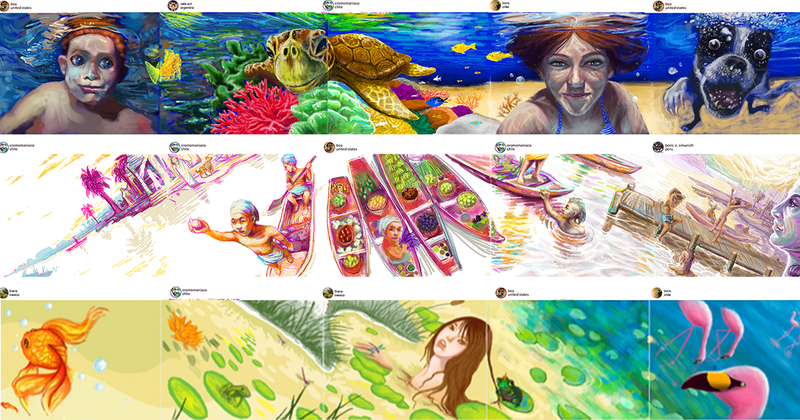 Introducing ArtPublika: Putting Art on Billboards. Once the billboard is over, she could still earn from the event after it is done: a permanent digital artwork of a temporary exhibit. All of these new forms of COST/Harberger collectibles allow new ways to fund the artists. There’s SO many permutations possible. It’s a blue ocean currently. The beauty of the COST/Harberger model is that it can be applied to any forms of invented scarcity. Previously, I’ve proposed the idea of “Rare Patrons”. A singular seat for a creator becomes available that allows any patron to occupy/buy it. During their tenure as the seat owner, they pay a tax, as the patron, towards the creator. Whilst on the seat they might have unique privileges beyond just the privilege of being the patron. After their seat is sold, they can join a post-patron club. Rare Patrons: Exploring Radical Markets, Patronage & Collecting. Interestingly, this model is the same one employed in the ‘Harberger Ads’ project that won the Ethereum hackathon: #EthSanFrancisco. Harberger Ads is an ad serving utility that prices ad space using Harberger Taxes. Ad space can be purchased and tax is paid at a self assigned “property value”. Reasonable pricing is encouraged as each property is for sale at the set value. If priced too low (with the goal of avoiding taxes), the property could be bought unexpectedly. If priced too high, respectively high tax payments will follow. What if this rare patronage model could be a way to rethink how streaming music is priced? My gut feeling is that streaming services is not well price in terms of price discrimination. Many fans would pay a lot more per month if they knew that the artists they listen to would receive more money (NOT the market-share model as currently exists). Self-assessing the value of the music one is listening in some form could properly discriminate the pricing per fan. There are other models in this related to curved bonding & curation markets that *does* add better price discrimination for media access that I will cover later. One wouldn’t be remiss to about how new markets also allow new art by itself. What if the new market allows for new forms of art? 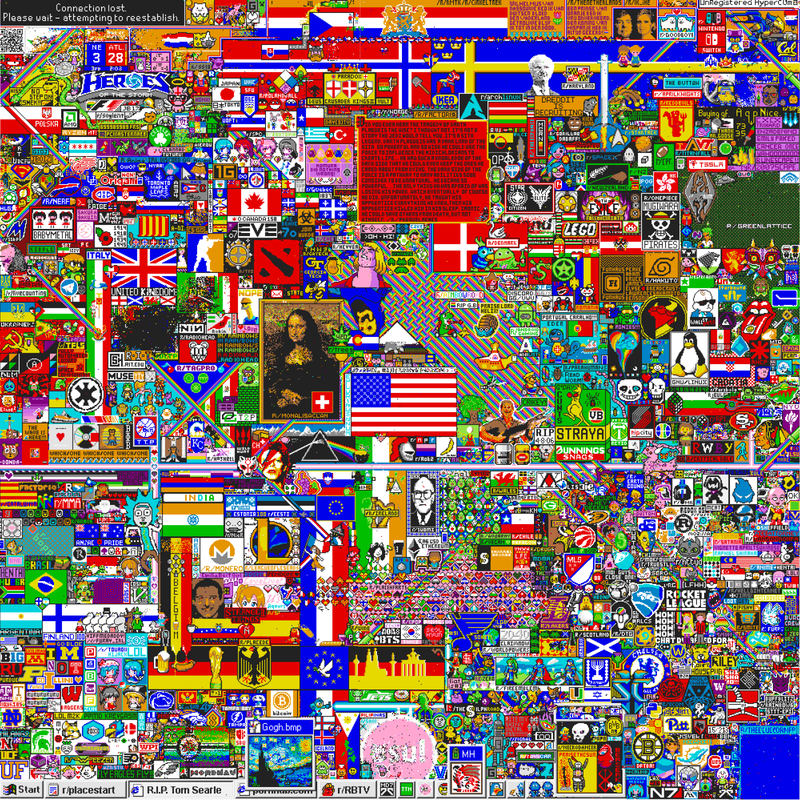 As an experiment, I first proposed the idea of doing a pixel map akin to Reddit’s r/place or the original million dollar homepage as Harberger property rights. For #EthSanFrancisco, and Ethereum hackathon, I proposed as a judge, this is one of the ideas I’d like to see built. During that time, two teams built a Harberger Pixel Map. Radical Pixels: https://devpost.com/software/radical-pixels [which won runner-up]. These are still in production and hopefully we can see what this looks like in reality. Other questions for markets-as-art is the usage of turnover of the asset as a goal in Harberger Property Rights. There was a book experiment on Ethereum called “A Universe Explodes” that had 100 version of a book. Each owner of a copy of the book was allowed to add one word and take away two. Once they did, they could transfer the book again. Eventually, all books would have one word per page. You can read a version here: https://a-universe-explodes.com/61/2. What’s interesting is that ownership model & utilising the blockchain allows us to encode these very specific property rights. During the tenure of ownership of the book, all contributors eventually earn from the whole game through its tax. In this particular case it also allows new contributors to “steal” the book from an owner that hasn’t decided to sell it. The story and project can continue and eventually complete itself in this process. Dada.nyc experiments similarly in this realm, where collaborate art essentially happens by taking turns. What would visual art look like if turnover of the asset is the goal? Where Does The Tax Go? For the most part, in talking about Harberger/COST property rights, I’ve somewhat vaguely eluded to where the tax should go: “into the commons” or towards the “creators”. This area is still up for exploration and perhaps a blog post in itself. My belief is that it should mostly be self-organizing. The creators would ultimately decide. As Luke Duncan describes, the license itself could specify where the tax needs to be paid towards. It could be a self-regulating global body buffeted by the Creative Commons, for example. Or it could be more granular: only the creators who were involved with it. It could also be paid into a curved bond: where the only participants who can buy into the curved bond are the property holders. In return for bonding their tax to a communal pool, in return they get a new token that is a claim on the assets in the pool. The price changes automatically based on the size of the pool. This would create quite interesting incentives though as it incentivizes early adopters to become property holders. It would cause the property owners to potentially value their property higher simply so that they can pay a higher tax if they believe the collective value from this setup will generate more value into the future. Curation Markets & Curved Bonding? Besides defining tax locations, a large tangential domain for arts creation & funding is Curation Markets, a field I helped pioneer. It could technically fall under the domain of “Radical Markets” in that it aims to introduce new markets that through individual incentives produces outcomes for the collective good. The goal is to be able to automatically tokenize new kinds of value and thus provide a way for communities to coordinate around new focal points. It’s origins are “radical”, when I attempted create a decentralized band, called “The Cypherfunks” in 2014 and have a medium-of-exchange token be its lifeblood. In learning the mistakes, I went ahead and tried to invent economic models that allowed these experiments to work better. The basic economic primitives has broad application and we’ve seen curved bonding deployed in many domains: from data sharing, the new organisations to meme markets to saving the planet. It’s all very nascent still. https://www.memelordz.com/#/. Trade dank memes with curved bonding. NSFW. This pricing mechanism using bonding curves could help price the value of media tangentially to a self-assessed model. In bonding curves, the price aggregates towards the marginal price of the next person in the market who is willing to buy access. Independently, Gage Valentino came up with a similar model to one we were thinking about at Ujo. Dynamic Pricing For Media Access & Consumption: A Curved Bonding Example: https://docs.google.com/document/d/1c-cpE6O2L03Hg_Vvup8Jr4OkNhu1WzRJKeftLepNHgo/edit. Related to funding of the arts in Radical Markets is a new concept called “Liberal Radicalism” (LR). It is a recent proposal from Glen Weyl, Vitalik Buterin & Zoey Hitzig that explores the usage of “Quadratic Voting” (QV) systems towards funding public goods. Quadratic Voting (QV) is a proposal in voting systems that allows minorities to express their values in stronger ways, as opposed to one-vote-one-person systems that could oppress minorities through the tyranny of the majority. This is a cornerstone of Radical Markets. In it, every citizen would get a set of voting credits per year, instead of just one vote. The voting credits accrue over time. When voting they can choose to spend any amount of voting credits. However, in order to allocate more voting credits to a proposal by an individual, the cost would increase quadratically. This means that if you really wanted something to happen in society, but don’t care about the rest, you can allocate those credits into that domain (say: gun control), but at a cost. This method allows minorities who care more about specific agendas to have more of a say, and in doing so, not be oppressed by the majority who does not care for the minority’s niche concerns. It raises the voices of those who wish to be heard and tempers the louder voices. “Liberal Radicalism” (LR) is an extension of similar ideas towards public goods funding. It aims to boost the signal of the minorities. It works by matching funds donated towards public goods in accordance to the amounts & number of people. Many, small donations will have a higher percentage of the donations matched, as opposed to one, large donation. It boosts the signal of the smaller, unheard voices. I’m not personally a fan of the name, because I don’t find it descriptive at all (even if you understand liberalism). I like to compare with a metaphor in the arts: compression. In music, we use dynamic range compression to boost soft noises and limit loud ones. This is particularly useful in scenarios where the soft noises gets lost in ambient noise (like *drum roll* public spaces). So, similarly, LR acts like a compressor. So, in helping to understand these concepts better, I like to refer to it as “compression funding”: better match the many, low donations, and less so the singular, big ones (which acts more like private funding as opposed to public funding). Apologies to the fans of lightly salted chips: it is like pop music. It is not the most exciting flavour of chips out there, but it’s the one most people can tolerate. Pop music is the same. In not really know what music people would like to listen to, it tries to satiate the needs of the lowest common denominator. Don’t get me wrong. I despise the denigration of pop. I love pop, but it misses the opportunity to find and listen to the tastes of the minorities that could find its way into the ears of more people. We’re taking less risks because it’s gotten easier to measure what works before money needs to get involved. In a conversation with Matt Dryhurst, he elucidated to me the extent to what the music industry has turned into. A pop budget allows experimentation in grand ways. In the past, the pop industry funded more weirdos, because media itself was less competitive and it wasn’t really known what would work. In other industries, you find the same thing: Marvel’s rise to prominence is a similar phenomenon. In competing media landscape, being the “loudest” wins attention. “Companies now must spend hundreds of millions of dollars to produce and market the sort of event film that will persuade customers to hit the pause button on Netflix and other streaming services to visit an actual cinema.” — from Den of Geek. We’ve become victims of a dearth of creativity because the funders have found themselves in a place where they fund the safe bets: over and over. It’s not that superhero movies are bad. I loved a host of Marvel’s recent films, but again: isn’t it it perhaps the lowest common denominator of film? I’m fine eating lightly salted chips if that’s what makes everyone happy at the party, but damn, I’d really love some hot Cheetos too. So would many others. Liberal Radicalism thus, or “Compression Funding” would be particularly interesting in the domain of funding the arts. It would boost the voices of the niche: the weirdos who want see new things exist. What would a record label look like if it matched funds according to a crowdfunding scheme in this manner? The smaller, indie garage bands with a dedicated following would have a higher likelihood to have their music heard versus a giant deal to an established group. I suspect we would see a wonderful new world of interesting music proliferate. Promote the weird. As you can see, this domain is extremely broad at the moment and has not even covered some of the other proposals in the book. What if we applied quadratic voting to discovery of the arts? A playlist using QV? What if your favourite band comes to town and a minority, really, really wants hear a B-side the band has never played? What about using migration proposals for arts as proceed: sponsoring migrants to create art? What about anti-trust in the entertainment industries? Isn’t it a problem that Warner, Sony, Universal & EMI own over 85% of the recording industry? What about our labor as not just data creators, but as art creators? Should Reddit pay me for my memes? Implementing these proposals also depend on various variables that are still hard to determine. For example, in properly allocating these new assets, they have to have a reasonable tax rate. For artificial capital (intellectual property), Matthew Prewitt argues that it should over time increase its tax rate in order to first benefit the creator. Babafa 88 is a gaming cooperative where the tax on the cards are modified to its own auction system: choosing a tax rate. These are still fairly unknown, and experimentation & research needs to happen! We’ve all been there: playing a new favourite song on repeat, reading up on fan theories after a series has ended, & laughing with belly-aches at a new funny meme. The arts are important. I distinctly remember an Alan Watts quote describing music as a metaphor for living life. In it, he describes that one doesn’t work a piano, one plays a piano. Music is not about getting to the end. It’s a reminder of the value art has on our well-being: a reminder to play with life. The arts will become increasingly important in a post-automation world. Exploring Radical Markets in the Arts will allow us not just to fund more creativity in the future, but also allow us to connect in new ways. Not all intellectual property will work in these new ways and some of the ideas might be dead in the water. We have to keep exploring though. There’s a world of abundance awaiting us. A community publication bringing together activists, artists, entrepreneurs, and scholars working to inspire radical social change through decentralization and expanding markets.